Looking for Something to Do Tonight? 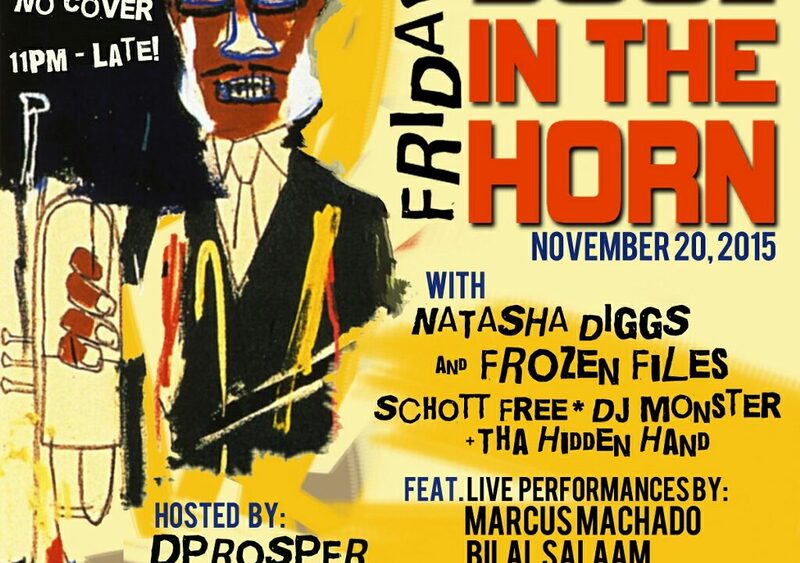 Head to “Soul in the Horn” in NYC! Looking for something to do tonight? 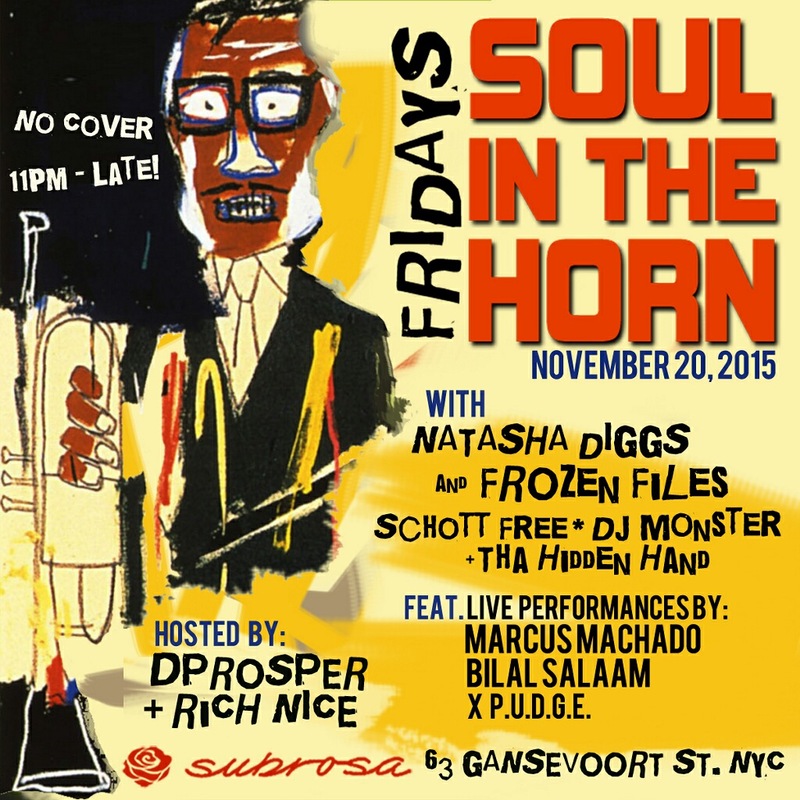 Our good friend, Rich Nice, is hosting Soul in the Horn in NYC! But don’t take our word for it… Take Huffington Post’s! Who attended, reviewed and wrote a whole article about. On this day in particular, the event flyer marked a lineup mixed of guests and live performances featuring the Legendary Spinderella, Adrian Younge, Daru Jones, Matt Pedals, Big Yuki, Bridget Perez, Rich Nice and Eric L Beats, who brought in his 30th birthday during his DJ set. As you enter, the candlelit slanted concrete staircase lowered you into the party scene, where the exposed brick walls were the stage’s backdrop. The dark and red lighting created an air of musical romance and I felt pretty, oh so pretty.